Many said that Daniel Powter was a one-hit wonder after giving us an outstanding chart-topper “Bad Day” which came to fame sometime in 2005. “Bad Day” gained much success as he could ever imagine gaining massive amount of radio airplays around the world. But the tag “ONE-HIT WONDER” might not come-off from Daniel Powter’s shoulder as he gives us a three-minute disappointment. It’s about his flight to somewhere that I don’t even know. Daniel’s vocals are still amazing but the song lacked the quality of another hit wonder. His cheeky melody and uncrafted lyrics was a complete mess. It might gain some attention because we know he’s back but I don’t think it will gain the success that Bad Day has given him. I mean, he could’ve released something that will kinda show his vocal abilities and his qualities as a good musician. This song is quite a try-hard one. I’m really hoping that “UNDER THE RADAR” won’t be as much as disappointing “NEXT PLANE HOME” is. Well, it’s up for the listeners to decide whether it deserves the recognition it will have. Catch the song when it will be released this September. 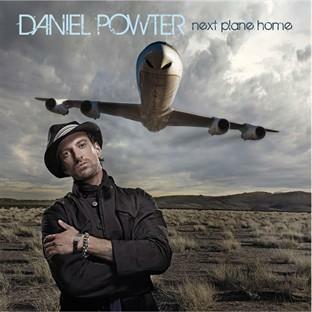 This entry was posted on September 4, 2008 at 3:16 pm and is filed under Single Reviews with tags Bad Day, Daniel Powter, New Single, Next Plane Home. You can follow any responses to this entry through the RSS 2.0 feed. You can leave a response, or trackback from your own site. Yeah. McFly is awesome especially their new single “Lies”. I’ll post a single review on the week of its release accompanied with a promotional download so stay tune.